We are excited to announce a new editor’s pick and our first in the category of child car seat covers: the Kiddopotamus Elite Duomat 2 in 1 Car Seat Protector Mat. This child car seat cover has all the right functionality and gets rave reviews from customers. It won the iParenting Media Award for its patent pending design! Before we get started, keep in mind that seat covers have three important characteristics: comfort, protection and fit. Our editor’s picks all have these three characteristics and reviewers agree. 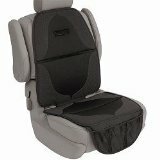 For other examples of seat covers that have these characteristics check out the SmartSeat Chair Protector which is a dining seat chair cover and the Solvit 62283 Deluxe Bench Seat Cover for Pets which is a car bench seat cover. You can see all our editor’s pick here. The Kiddopotamus Elite Duomat is made from premium non-skid materials on both the top and bottom of the mat to help keep your child’s seat securely in place and prevent the mat from slipping. We can’t say enough about how important this feature is on seat covers regardless of their type. 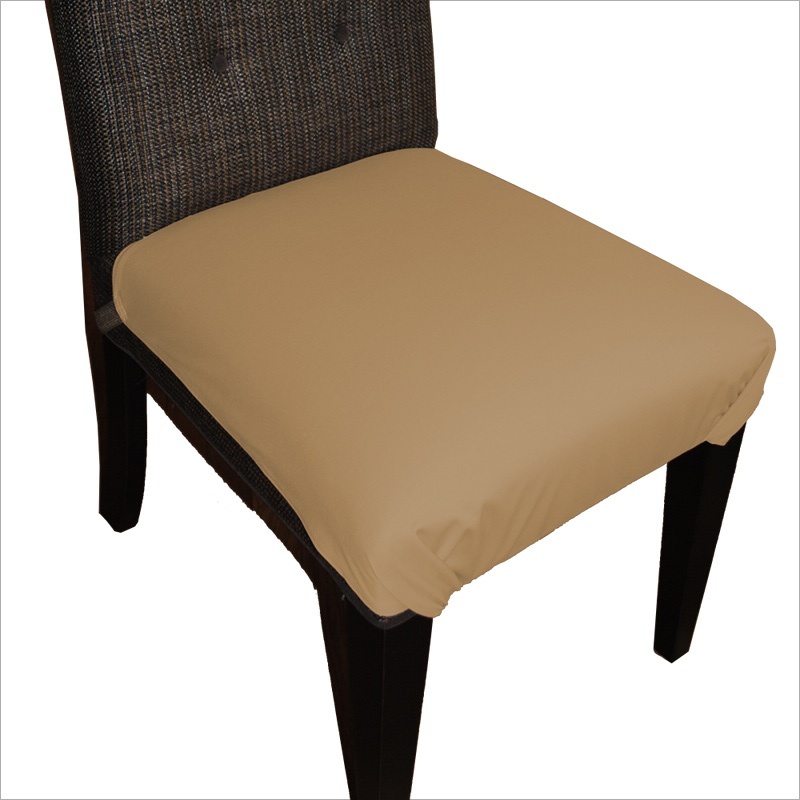 Whether it’s a vinyl chair cover that squeaks and slips or a polyester car seat cover that slides off the chair users find slippery seat covers uncomfortable and frustrating. To help give you a great fit, a stabilizing wedge helps secure the Elite DuoMat in place. Deeper side slots accommodate LATCH anchors and seats belts. Next, the Kiddopotamus Elite Duomat 2 in 1 Car Seat Protector Mat is made with ultra dense molded foam padding prevents scratches and dents to your car’s upholstery. We recognize that this is more valuable for leather style car seats that scratch but it will also be helpful on upholstered fabric where its waterproof material can provide protection from spills. Waterproof materials prevent stains and soiling on upholstery. Wipes clean for easy care. Finally, the Kiddopotamus Elite Duomat has straight forward look to it that has very broad appeal. In terms of additional features, this great car seat cover has a back panel that can fold to the perfect height for rear facing infant seats so you don’t need to worry about tall mats falling over on your children, toddlers or babies. There are handy mesh pockets that help to keep drinks, snacks and toys organized and in easy reach. Why is it called 2-in-1? The Kiddopotamus Elite DuoMat Car Seat Mat is a 2-in-1 car seat that works with both infant seats and convertible car seats and boosters. In other words, it’s great value for money because you can extract a longer life from the cover. When your child graduates to forward facing car seat and booster seats, the Elite DuoMat back folds open to the tallest height of any mat available to provide full protection even from high back booster seats. So what do the reviewers say? Let’s start with the positives. Reviewers say that this cover is just the right height and has just the right degree of firmness. Other car seat covers are called out for being to hard which makes it difficult to fully secure the seat on top. Those that are too soft slip or fall and don’t fully protect the seat. The seat is very effective at preventing dents in the car seat and protects the back also because of its height. Reviewers love the ability to use this for tall kid car seats and the way it folds over for shorter infant car seat carriers. It gets high marks for durability, for surviving all manner of spills and mess and for not slipping. There are not a lot of complaints relative to complements but buyers would like to be able to purchase this in different colors to better match the car interior. Also, while the seat cover is excellent at gripping the seat itself, the child car seat tends not to stick to the top of the seat cover quite so well. Some reviewers mention that you can’t really put three of them on a bench seat because they are two wide. On the other hand other say they wish they were slightly wider. In all likelihood, that means that the width is probably just right for most vehicles and most uses. The only other issue is whether it cinches tight enough to make the seat secure. Given how few complaints there are about this, we feel that this is not a general problem but if you have any doubts make sure you return the product rather than taking a chance with child safety. Check out the Kiddopotamus Elite Duomat.